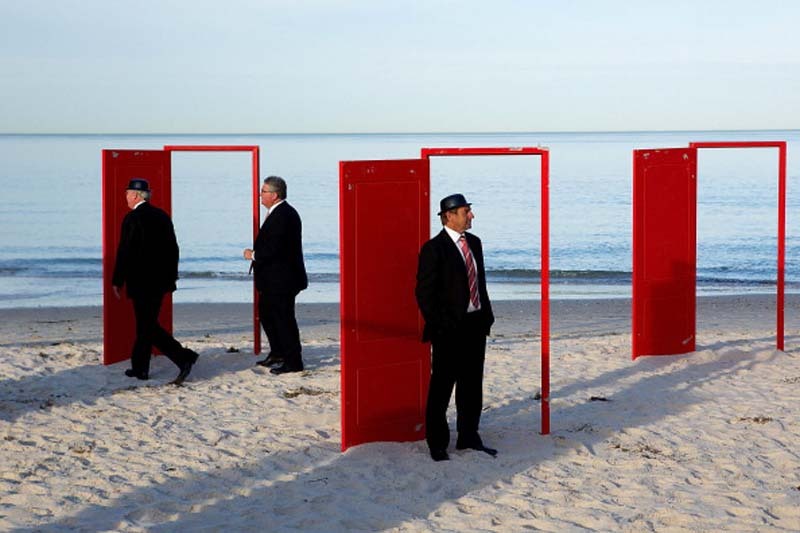 Last December, Australian artist Andrew Baines (previously here) was up to his surreal shenanigans again. 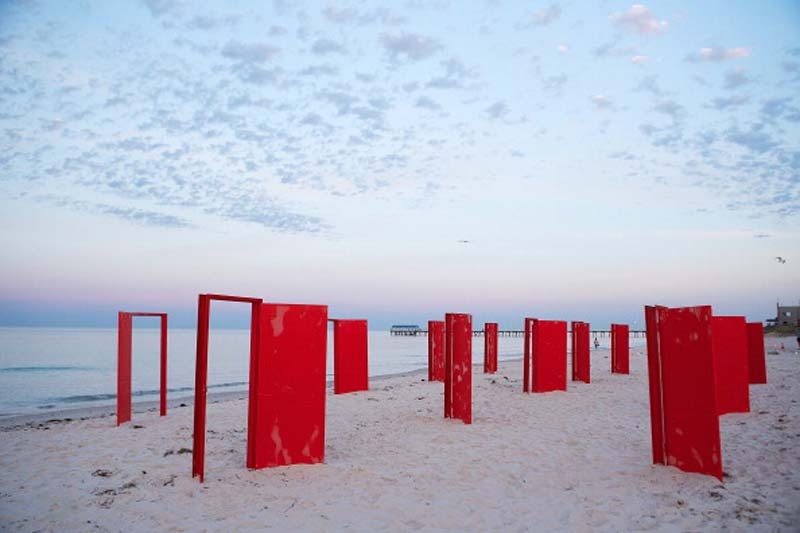 This time his bowler-topped volunteers strolled around and stood in front of 15 crimson red doors illuminated by the early morning sun across Australia’s Henley Beach shoreline. 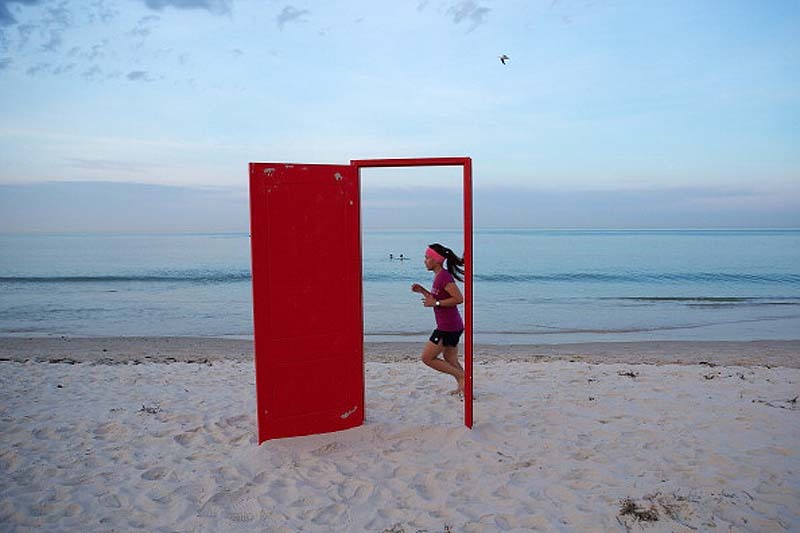 The performance/installation was aptly titled Doorways to Potential and included suited volunteers the likes of politician Alexander Downer, Iconic TV personality Jane Doyle plus numerous luminaries from varied fields. The event symbolically highlighted the work of international charity Common Ground, based in New York (and now flourishing throughout Australia) that takes the homeless off the streets, sets them up in a unit and then assists them to achieve their professional goals. Photos by Morne De Klerk/Getty Images and Mark Brake.